ASTM B673, B677, B674 TP 904L Stainless Steel EFW/ Welded/ Fabricated/ Seamless Pipes & Tubes. Stainless Steel 904L, Workstoff Nr. 1.4539 Pipes & Tubes Manufacturers, Exporters & Suppliers. Stainless Steel UNS N08904 Pipes & Tubes Suppliers and Stockists In India. Kalpataru Piping is a leading Manufacturer, Exporter, Supplier, Stockist, Wholesaler of Stainless Steel 904L Pipes and Tubes, WNR 1.4539 Welded pipes and tubes, SS 904L EFW pipes and tubes, UNS N08904 pipes and tubes, WNR 1.4539 EFW pipes and tubes, WNR 1.4539 pipes and tubes, SS 904L welded pipes and tubes, UNS N08904 EFW pipes and tubes, UNS N80904 welded pipes and tubes, SUS 904L pipes and tubes, Alloy 904l pipes and tubes, X1NICrMoCu25-20-5 pipes and tubes, 2RK65 pipes and tubes in India. 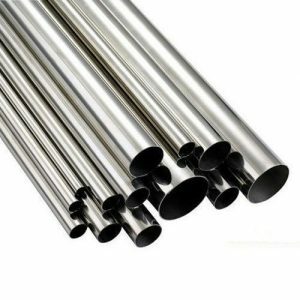 These Stainless Steel 904L Pipes/ Tubes has an erosion imperviousness to an extensive variety of destructive situations. SS 904l pipes and tubes are used in Heat Exchangers in Air Conditioning Refrigeration; for Machinery in Paper, Electrical, Petrochemicals, Automobile, Pharmaceuticals Industries; and more. The Stainless Steel 904L Pipes/ tubes have a corrosion resistance to a wide range of corrosive environments. We also specialised in manufacturing of ASTM A240M 904L Pipes, ASTM A480 904L pipes and tubes, ASTM A480M 904L pipes and tubes, AISI 904L pipes and tubes, SUS 904L pipes and tubes, Stainless Steel 904L pipes and tubes in India. These pipes & tubes are available in various sizes, shapes as per the requirements of our clients.